During the holiday season, acts of kindness are found everywhere. Whether it’s in a form of money, gifts or time, the holiday spirit shines through with these heartfelt gestures of giving. Volunteering is one of the best forms of giving and should be a shared experience with your child. This week, we thanked our students on International Volunteer Day for devoting their time in making the world a better place. Without their willingness to help, our future might not be as bright. Beyond receiving a “thank you” or acknowledgement of their work, your child will learn valuable life-lessons as a volunteer. Here are our “Top 5” lessons learned. To see the world change for the better, you have to be that change. Your child will see what actions you do and how those actions help others. As a parent, leading by example is a powerful tool. 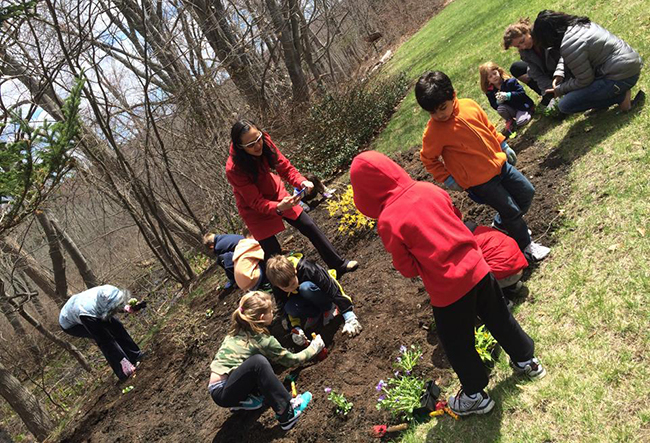 You can empower your child to do amazing things, which can result in lasting positive change. Kids Are Heroes shows many examples of extraordinary children who have become role models because of their positive actions. Many volunteer scenarios involve working with others. When a group of people are trying to achieve the same goal, it makes accomplishing that goal much more rewarding. Your child can practice their collaboration and communication skills while completing group tasks. Positive reinforcement and support when working with a team also helps their self-esteem. When you can put your child in a position to understand and share the feelings of another person, that creates a connection that is life-changing. 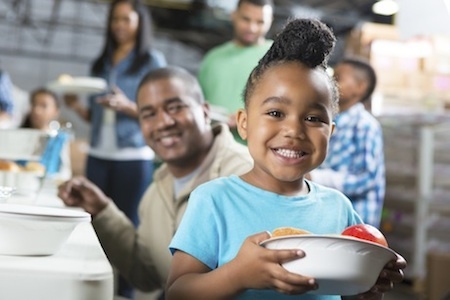 When volunteering for events, food drives or anything that directly helps people in need, your child can experience moments of empathy firsthand. NYMag.com’s interview with child psychologist Michele Borba on her new book, Unselfie: Why Empathetic Kids Succeed in Our All-About-Me World, explores what other skills empathy can improve in children. Your child wants to be heard and understood by everybody. As a parent, you want your child to respect the same communication relationship. With that in mind, volunteering for causes that involve talking and listening to others can help develop these skills. Connecting with new people, whether it is fellow volunteers or those your child is helping, can also give your child confidence in who they are and what they are doing. FasTracKids talks about these skills being advantages for your child’s journey. Being a volunteer for a cause, you most likely know what the goals are. But for your child, they might not have been exposed to goal setting outside of the classroom. And if they have experienced how to achieve a goal, volunteering applies that skill to real-life. In a past blog post titled “School Year Goals and Resolutions”, we talk about the importance of involving your child when making goals. Your child can set smaller goals and understand what tasks need to be completed to accomplish them in a volunteer setting. An example could be putting together gift baskets for those kids in need. Your child can have a goal of how many baskets they want to put together, while you ask them what tasks need to be completed to reach that goal. As an added bonus, you create an opportunity to bond with your child while helping others. If you don’t know what volunteer opportunities exist in your community, here’s a helpful “Children’s Volunteering Resource Guide” from Parents.com. Go out and change the world together!